Finally, another Bryan Lee O’Malley book I truly loved. You might remember how much I enjoyed Lost at Sea, and also how disappointed that I was that I couldn’t really get into Scott Pilgrim. 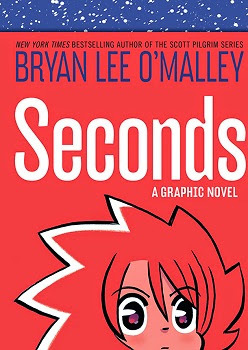 Well, I’m happy to report that Seconds is a return to many of the things I loved about O’Malley’s first novel. The tone of the two couldn’t be more different — Seconds reads like a dark comedy, while Lost at Sea is melancholy and subdued — but they share a certain quality nonetheless. Seconds is about Katie, a 29-year-old chef working towards opening her own restaurant. She has a business partner and an old building she loves lined up for it, but things are not progressing as quickly or as smoothly as she’d like and Katie feels stuck. But one day, at her current restaurant (above which she lives), Katie makes a discovery. She finds a way to go back and correct what she perceived as her mistakes and give herself a second chance. Soon, Katie inhabits a parallel universe where her life turned out very differently — but is different really better? There is plenty to love in Seconds, but the best thing is probably the warm and humorous tone O’Malley uses to tell Katie’s story. 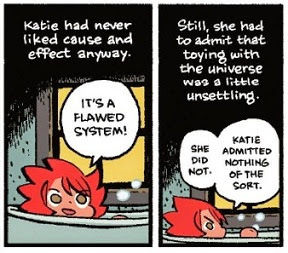 For example, there’s a constant juxtaposition between the narrative voice and Katie’s take on thing that is used both hilarously and insightfully. I also really liked the layered relationships between the characters (especially Katie’s budding friendship with Hazel) and the way the story subtly deconstructs assumptions about there being one true way to live a good life. The result is a delight of a book that is as thoughtful as it is funny. Highly recommended. 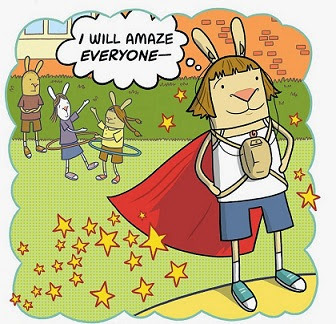 El Deafo is a fictionalised account of Bell’s own childhood: when she was four years old, she lost most of her hearing as a result of meningitis. After a year at Fisher school, where for the only time in her life she was “surrounded by kids just like [her]”, Cece returns to public school, where she keeps up with her classes with the help of a hearing device called the Phonic Ear. El Deafo follows Cece through several school years, and also through her quest to find a best friend who sees her as a human being who isn’t exclusively defined by her deafness. 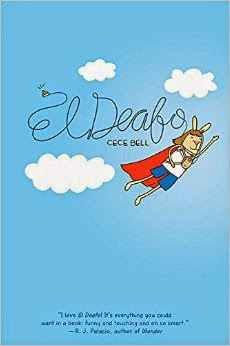 The title “El Deafo” is a reference to the superhero Cece imagines herself to be: as children so often are, Cece is hyperconscious of her difference, and she copes with this by thinking of it as a superpower. I like how the title also captures something essential about what the book is doing: this is a story where a deaf little girl gets to be the hero, rather than being a character who revolves around or is filtered by the perception of people with an incomplete understanding of her experiences. El Deafo is warm, humane, and often very funny. It’s about what it’s like to experience the world as a deaf child, but it’s also about being young in general and craving acceptance and connection. And like This One Summer below, it does a wonderful job of capturing what it feels like to be a young person and portrays the myriad details of childhood with sensitivity and care. In the author’s note at the end, Bell reminds readers that this is not an universal tale about what it’s like to grow up deaf, but rather one person’s account; she is, after all, “an expert on no one’s deafness but [her] own”. El Deafo is a personal story, and it’s only by engaging with as many of these as possible that we can hope to gain an understanding of how others experience the world. If I had to describe This One Summer in just a few word, I’d probably go with “quietly perceptive”. This book is all about the small and not so small details that mark one girl’s summer, and it captures the feeling of being on the cusp of the many major transformations of adolescence remarkably well. Rose and her parents have been going to a lake house in Awago Beach for as long as she can remember. 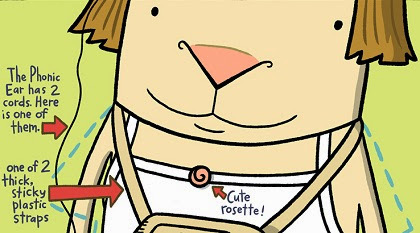 During her time at the beach, Rose always hangs out with her friend Windy, and this year is no exception. However, a few things have changed — her parents’ relationship is going through a rough patch for reasons Rose doesn’t quite understand, and she and Windy are trying to negotiate changes to their own bodies, new crushes, and all the conflicting messages about what it means to be a young woman and a sexual being. 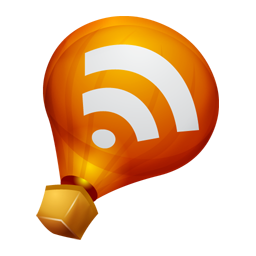 The storyline about a local pregnant teenager is handled especially deftly: Rose reacts to the news by echoing a lot of misogynist assumptions about young women and sexuality, which causes some tension between her and Windy. The way this is written is such a great example of a narrative allowing a character to express a bigoted viewpoint yet challenging it consistently without ever being heavy-handed. Also, it reminded me of what it was like to be young and attempting to make sense of the world by trying out the opinions you came across the most — and also of the difference feminism makes in girls’ lives. This is a smart, subtle, moving, and excellently written and gorgeously drawn book. 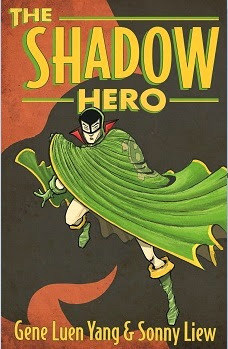 The Shadow Hero is Gene Luen Yang and Sonny Liew’s take on The Green Turtle, a comic book hero from the 1940s rumored to have been originally drawn to be Chinese by creator Chu Hing, but whitewashed at the publishers’ request. 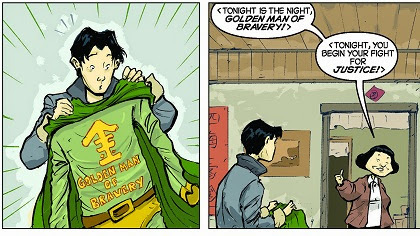 As Gene Luen Yang explains in his afterword, Chu Hing seems to have rebelled against this in the way he could — by obscuring his hero’s face in every panel so that his ethnicity remained ambiguous. 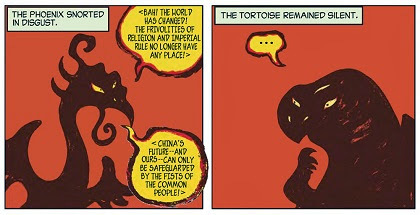 In this updated version, The Green Turtle is a nineteen-year-old second-generation Chinese-American boy named Hank. Hank lives with his parents in San Incendio’s Chinatown, and he becomes a reluctant superhero after his mother’s encounter with The Anchor of Justice. The Shadow Hero reminded me a little bit of Ms Marvel: both are stories about superheroes of colour whose identities are a key part of who they are and how they engage with the world, rather than something that needs to be swept aside for them to be recognised as heroic. The Shadow Hero is seeped in Chinese history, culture and mythology, and it tells a story about crime and justice in Chinatown from the inside, instead of echoing the usual stereotypical narratives. For more on this book, please do read Aarti’s excellently titled post Subversive Superhero. 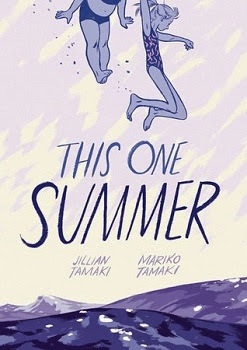 I was just writing up a review of This One Summer and it was so funny how I was thinking about the book while reviewing it. I didn't much care for Rose, but as I was reviewing it, I realized how spot-on Tamaki was with showing how messy life can be when you are trying to grow up. No, Rose isn't a very nice person some of the time, but you can also see why she makes such snap judgments, and it felt very true to me. And yay for The Shadow Hero! El Deafo sounds so awesome! And This One Summer is definitely going on the to-read list. I can't get any more comic books until I catch-up on my TBR comic books... So... I will be back. I read El Deafo after a great deal of excitement from many parties, and I was not so thrilled with it. It was fine, I guess? But I thought it was going to be more insightful, I guess, and I did keep thinking I wished that her experience spoke more to Deaf culture, which is really fascinating. Like basically I wanted it to be more like Switched at Birth. PS you should watch Switched at Birth cause I think you'd really like it. lol El Deafo made me think of Switched at Birth as well and then I saw Jenny's comment. I do think you should give the show a try! I know the title sounds crazy but it's a surprisingly great vehicle by which to explore different cultures. Glad the reading year is off to a great start for you! I really liked Seconds too. It's a nice reminder that wishing we would have done something differently might not give us better results. Thanks for all the additional recommendations! I liked Seconds, but not as much as O'Malley's other books. I thought the lack of consequences at the end undermined the theme of the story: responsibility, growing up, etc. also the whole love triangle thing was super annoying. I didn't enjoy This One Summer as much as I liked Skim (I LOVED Skim). I got my daughter The Shadow Hero for Christmas and she really loved it. I have to borrow it from her now, because I know I'm going to love it, too. Aarti: Yes, exactly - it felt true to me, and it did such a good job of showing why a young girl might internalize misogyny without explaining it away. Jenny: I read the author's note first and I think that influenced my reading experience - I knew exactly what to expect, and what not to expect. And I will! It's on my list because of you and Amy. Amy: You two have sold me for sure! Stefanie: You're welcome! And yes, exactly. Tasha: Very different from my reading, but that's part of the fun of talking about books! Belle: I looooooved Skim too, but I think I actually enjoyed This One Summer even more. 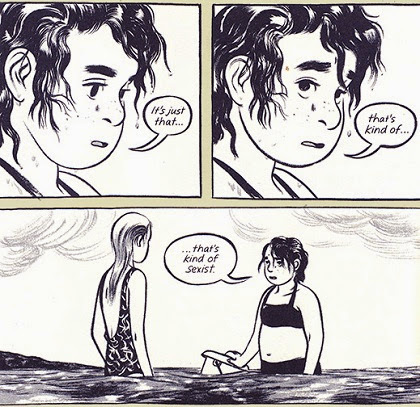 This One Summer is the only one of these I've read, and sheesh Ana--as usual, you're able to put *my* feelings about a book into words so well! I loved This One Summer so much but could never find the words to say why it was so special. And when I said it was the only one I've read, I should have added "yet." Because you most assuredly have me wanting to read all the rest now too! Debi, I think you'll like them all. Do let me know what you think when you get to them! I have THIS ONE SUMMER out from the library right now, and I feel pretty good about my choices.